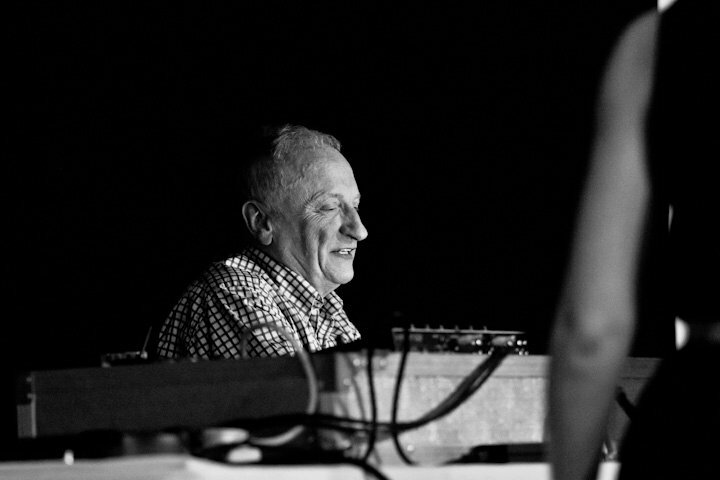 If you’ve danced in London, chances are Tony Walker was playing the music. His warm manner, crowd-pleasing playlists and generous spirit have earned him a loyal following. I caught up with him in the middle of planning a new venue for his popular milonga, Tango on the Thames. Tony, you’ve been on the London tango scene a long time. When did tango find you? It has been a long time! About 15 years ago I was going to Ashtanga yoga classes at The Factory in North London. Steve Fox, the owner there, suggested to me one day that I try his beginner tango class. I gave it a go and loved it, but it was terrifying. It’s such a difficult dance to learn and to gather a level of confidence takes a while. But I was hooked and in a short time I was going 3 or 4 times a week. The Factory was the place to be on Sundays, with the excellent Mina and Giraldo teaching. I also frequented the milonga at The Dome on Wednesdays, which just closed earlier this month after about 17 years. I really got into the music there and would bug the DJ, Osvaldo Hector Mirando, to tell me what he was playing. He gave me my first copy of D’Arienzo. His guidance was a huge influence on my later development as a DJ. After about a year Steve asked me to be a sort of taxi dancer at The Factory. This sounds glorified because I was still at the start of my tango education but to help other beginners was a great experience. When I look back on it, the timing was perfect. I’d been through some challenges in my personal life and the sense of community and enjoyment I got from tango was exactly what I needed, when I needed it. After an initial year of complete obsession with tango I kept going twice a week. I went to all the big events on the London calendar and visited milongas in Berlin which at the time was the tango capital of Europe. Later on I went to classes with Leandro Palou. He’s an excellent teacher and I learnt a lot. While I was dancing and learning and trying to get better I was also buying more and more CDs. I still have them – lots! About 8 years ago I had an idea with Richard Schramm to do some sort of tea dance on Sundays. We held it in Vic’s bar on St John Street in Clerkenwell. I got some of my CDs together and Richard set it up. We just thought we’d give it a go and see what happened. 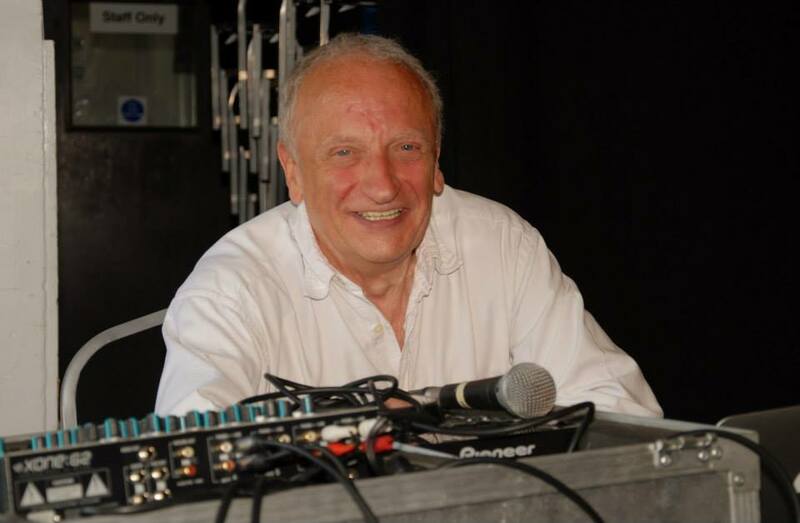 It was a small place – I was DJ-ing from behind the bar! It was fantastic. The atmosphere was great: relaxed, intimate; no classes, just dancing. From there we moved it to The Adelaide in Swiss Cottage and kept the same format: just an informal milonga that was friendly and fun. In those days I was feeling my way as a DJ. I was playing a certain amount of music I wouldn’t dream of playing now. About 7 years ago I did the music at Tango Morzine in the French Alps. It was an incredible experience but looking back I think I would do the playlist differently now; I’ve changed so much as a DJ. Over the years I’ve had several regular places. The Cocoa Club – in collaboration with Frances Pace of Tango Instinct – became a regular fixture after The Adelaide, then we moved it to Tito’s at London Bridge where I still DJ on Wednesday nights. About five years ago I was doing Hackney Tango at The Old Boys’ Club on Thursdays. It had a bohemian, macabre feel to the place that gave it a great atmosphere. It was popular – we had Pablo Veron guest teach there once – and it ran for about 3 years. Also five years ago I started Tango on the Thames with Peng Newman. It’s now a major fixture on my calendar, along with my regular spots at Tito’s, Los Angelitos, CoolTango and festivals like Ardingly, Brighton and Che London. Were you into music before tango found you? Do you think you were ready for embracing something so different? I was, yes. It’s been a big part of my life as far back as I can remember. I played clarinet years ago and aspired to play alto sax, though I never got round to that. As a young man I collected jazz LPs. I’d save up for them. This was in the days when people either went for rock and roll or jazz. People would go and jive to jazz at The 100 Club on Oxford Street. It was a fantastic scene to be in. These days my downtime music is usually something impressionistic. I love Debussy, it’s almost dreamlike, and Ravel too. You can completely escape in it. I also listen to Bach and other Baroque composers as well as English classics such as Percy Grainger. I often tune into Radio 3 in the morning. Looking back, in the same way that tango found me at an opportune moment, the music did too. I suppose that’s why I bought so many CDs in the early years – I couldn’t get enough of it! It’s a massive genre, there’s so much to explore and enjoy. I get a thrill out of sharing that with a dancing audience. Has the job of being a DJ changed over the years you’ve been doing it? Oh goodness yes! There’s a lot less stuff to transport now. I used to have to lug around lots of CDs. It was more hands-on then – you couldn’t so easily sneak in a dance yourself. It’s much easier now. Digitising music files and playlists have changed everything. I can easily keep track of how many times I’ve played something at a particular venue and I have the cortinas already cut and ready to go. I’m not someone who hits play and wanders off though; I take pride in doing a good job. I try to come up with playlists that suit the occasion, the crowd, the feel of the place and always respect the house rules if I’m working at someone else’s event. Has the music changed too? The demand certainly has. What is popular comes and goes each year. Nuevo used to be big but that has waned. It can still fill a floor but there’s less overall demand for it. I can see that. Nuevo seems to have pervaded everyday life now. We hear it in TV adverts and movie soundtracks. It’s no longer a secret or special to the tango community alone. That’s true, and some of the Nuevo tracks now feel more ‘tired’ than the Golden Age favourites that are often repeated. Generally I believe that evolution is a good thing though (as in religion and politics perhaps) and we have to allow for developments and for differing preferences, which are different from fundamentalist-type idealisations. I found it interesting to observe the variety in Buenos Aires when I visited there, it being the Mecca of tango. There is no ideal past that we must reproduce come what may; the past is to influence but not to dominate. What do you love about being a DJ and hosting milongas? To see people happy, the pleasure on their faces, wanting to dance, filling the floor. That’s the point of it. It’s the most wonderful thing to see. I also like encouraging people through my role as a DJ. I like seeing a modern approach to the etiquette of dancing. I think it’s so important that women can invite men to dance and hate to see them sitting on the sideline not having a good time. Of course a lot of men don’t ask because they’re scared, so both parties can be to blame! I try to do whatever I can as a DJ and host to get people up and dancing and make it a friendly environment. I imagine the job can be challenging sometimes too. Yes it can be. There’s always someone who doesn’t like the track you’re playing and wants to tell you what to play. It’s tricky because they don’t necessarily consider the context, the arc of the playlist, and that there are other people on the dancefloor enjoying it. It happens especially with Nuevo. People either want to hear it or they want it turned off. It can also be difficult when the sound system fails. Thankfully it doesn’t happen often but I always feel personally responsible and worry that people won’t come back. Is there a community among tango DJs? Yes, there’s a good camaraderie between us. I always enjoy events where I’m sharing the night with another DJ. For instance Diego Doigneau and I sometimes share the same event or festival and we get on well. I’m dying to ask you about tango shoes. In the early days did you rush out and buy the right kit? A little bit, yes! I’ve gone back and forth over the years between tango shoes and smooth-soled street shoes. Comfort is always key for me. I’d rather be comfortable than make a style statement. I think a lot of the time men can get away with not trying as hard as women. But you can’t expect women to dress up if men don’t bother to make a bit of effort. I couldn’t pull off the baggy trousers look though! One of my brands, Mr Tango Shoes, names some of their shoes after tango legends past and present. If they made a shoe called Tony, what would it be like? Oh that’s easy. Soft and comfortable. Probably not showy or flashy and not two-tone. If I went for that I’d need to be dancing the Charleston! Plain, simple and soft. That’d suit me down to the ground. When you’re working what’s a perfect evening for you? A filled floor and everyone having a really good time. That’s perfect. What’s your favourite thing to do to unwind afterwards? Sleep! Sometimes I’ll have a glass of wine or vodka and maybe something to eat. I’m not a night owl. I prefer afternoon and early evening events to the late night ones. 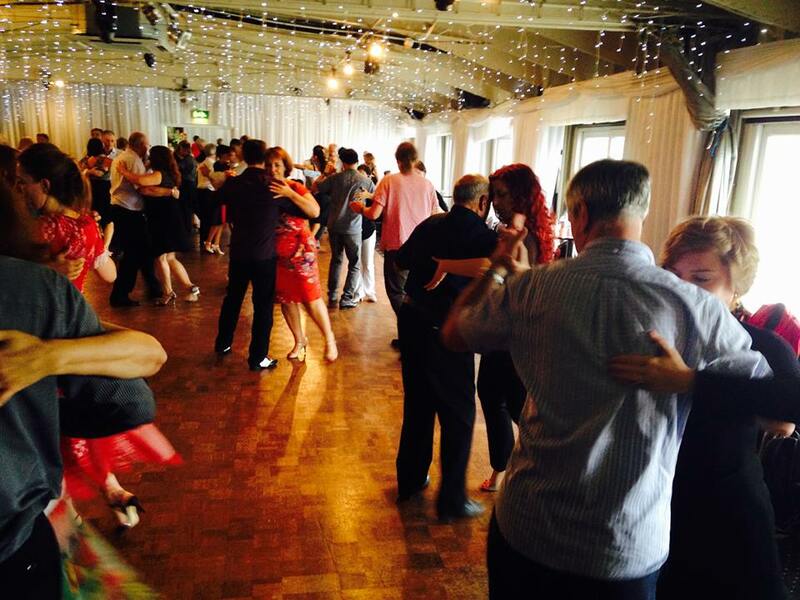 Let’s talk about one of the biggest milongas you host, Tango on the Thames. I know it’s on the move because the venue, HMS President, is closing. I’m excited to hear you found a new venue. What prompted the move? The HMS President is being moved to dry dock in January because the Thames sewer works will need access to the spot where it’s currently moored. The owners aren’t taking bookings for next year and the boat might be out of action for 6 months or so. After five years of hosting Tango on the Thames there it’s a great shame to have to leave. I’m also sad for the staff who will probably lose their jobs, especially Cristiana and Carlos at the bar, who always take such excellent care of us – and Cristiana lives on board so she will lose her home too. I’ve been looking for a new venue for a while. It’s difficult in London generally and along the Thames in particular because so many places are geared for weddings and charge very high fees. I’m excited to have found somewhere for us though and we will be trying it out early next year. It’s the Tattershall Castle, a 1934 steamboat moored at Victoria Embankment. It’s recently undergone a refit and we’ll have the lovely dance floor in their Steamers room which has plenty of side seating and a bar. There’s a full restaurant for anyone who wants to stay for dinner afterwards. It’s right near Embankment, opposite the London Eye, so the location is excellent. The first one will be on Sunday 10th January 2016, and the second on 28th February. I’m confident it’ll be a good venue for us and it’s a bonus to have found somewhere that doesn’t compromise our “on the Thames” name! Readers, the next Tango on the Thames is Sunday 29th November with guest teachers Mina and Giraldo. The last one on HMS President is 13th December with guests Dante and Miriam. Check the TOTT website for details. Where are your favourite places to DJ? There are so many! Tango Alfresco in Regent’s Park was very special and I dream of making it happen again someday. I enjoy Tito’s (can you believe it’s been going 3 years? Time flies!) and Los Angelitos. Tango on the Thames is magical. The Ardingly Festival is a lot of fun and this year’s Che London Festival was fantastic. 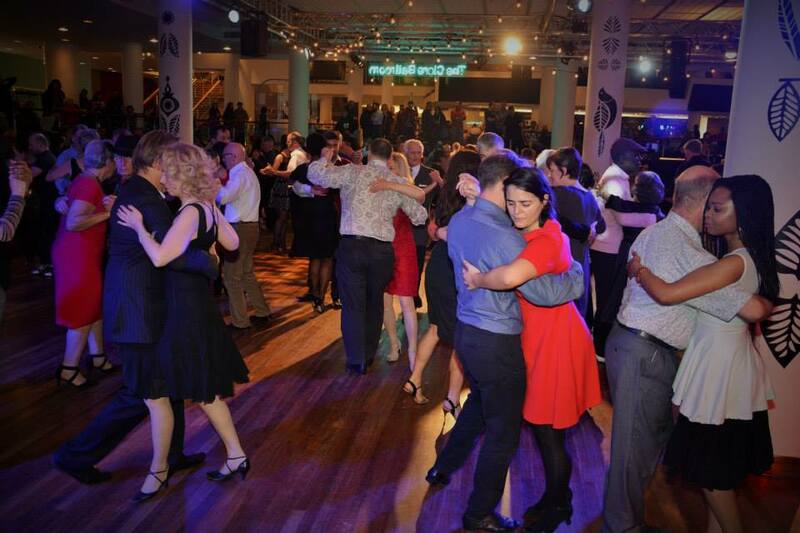 The Boxing Day milonga at the Royal Festival Hall is an amazing experience as a DJ. To see 300 people dancing is incredible. Everywhere is good; it’s almost a truism! I’m always looking for new opportunities to DJ. I’d love to go back to places I haven’t been to for years as I know I’m a better DJ now than I was back then. I know you’re well travelled. Have you found any magical places to dance tango around the world? I suppose one has to go to Buenos Aires once, and I did, though it was too hot for me at that time. The people impressed me the most. They are friendly, generous and open-hearted. As for tango, the standard varies a lot and there are places that apply rules with which we are unfamiliar. At Milonga del Patio it was great to meet Osvaldo again and to enjoy the informality of a milonga where the entrance fee was an article of food, such as a bag of rice, the proceeds being given to the poor. 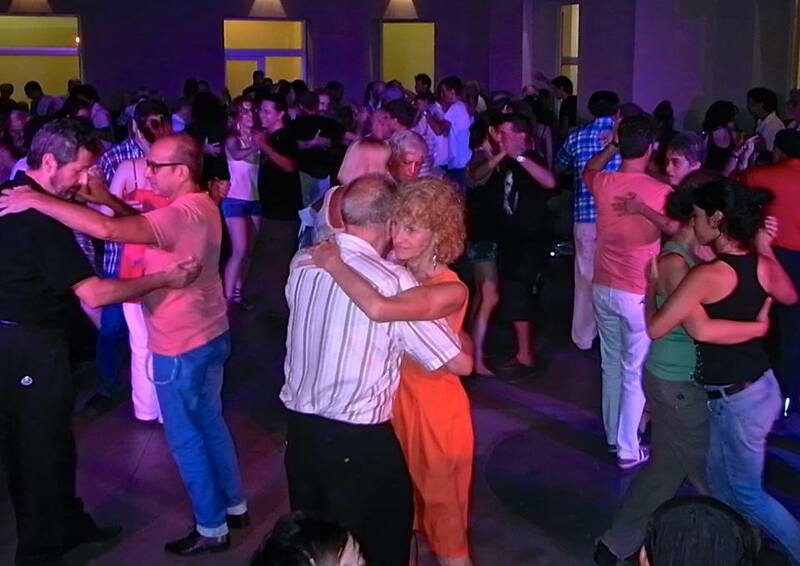 It’s a very free, easy-going milonga. I think one of my all time favourites has to be dancing by the Seine in Paris on a warm evening. Gabrielle and I were in Paris recently and went to a milonga in a basement. It was small and intimate. We really enjoyed it. I have also enjoyed dancing in Berlin, and Nijmegen in The Netherlands – where Eric Jorrisen is the star. Ok, my final question. Let’s play “Fantasy Milonga”! You can choose a venue and invite whomever you like, living or past – dancers, bandleaders, musicians, singers. Whom would you choose and where would it be? Ah, the venue is easy. A sense of place, rather than a particular location. It’d have to be Mediterranean, open air, sun and sea in the background. A warm evening with twinkling lights as the sun goes down and a glass of wine within reach. Perfect! I’d invite Francisco Canaro and Juan D’Arienzo. They’d be at the top of the list. I play more Canaro now than I ever did. It’s so moving. D’Arienzo is such exciting music. Have you seen the old videos of him with his group? His energy! The music is thrilling. It gets in your spine and your stomach and dances up and down. I’d invite Rodolfo Biagi too, and Miguel Caló. I’d love to invite the people who have influenced me over the years: Steve Fox from the Factory and Eric Jorrisen from Nijmegen, and Biljana and Osvaldo from The Dome, and Leandro Palou who taught me so much, and Kelly Baker from Tango Alfresco. These are people largely from my tango past; there are too many to mention from my tango present! Thanks Tony. It’s been a pleasure. Enjoy Tony’s music at his regular London milongas: Tango on the Thames, Tito’s with Tango Instinct, Los Angelitos with Tanguito, and CoolTango. He’ll also be doing the matinee milonga at the Brightangothon on 31st October, and hosting Tango on the Thames at the Royal Festival Hall on Boxing Day.